Aiden Clark was only 2 years old and his little brother Cairo, 1, when two Sacramento police officers shot and killed their dad in March 2018. Now, a year later, supporters – including actor and producer Nick Cannon – are coming together to show the boys and their mom, Salena Manni, some love. Cannon, who has hosted several popular TV shows, joined supporters, activists, politicians and bereaved family members recently at a private lunch reception in Sacramento to raise money for the family. The event was organized by the People’s Alliance of Justice, a civil rights group based in Los Angeles. Earlier this month, Sacramento County District Attorney Anne Marie Schubert announced she would not pursue charges against the officers who were involved in the shooting. Instead she focused the majority of her statement on characterizing Clark as a troubled young man whose actions may have provoked cops to shoot him. Police claim Clark was intoxicated and vandalizing cars before they killed him. Since the announcement, activists have been calling on DA Schubert and California Attorney General Xavier Becerra to do a deeper investigation into the shooting, charge the policeman who shot Clark and let justice run its course. 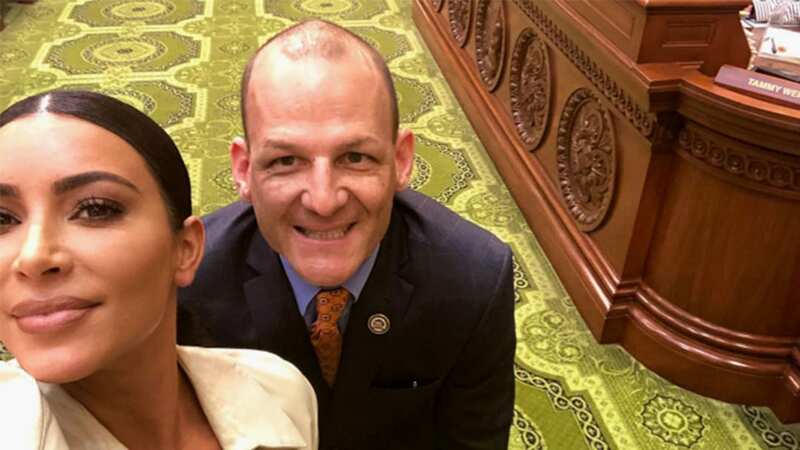 Kim Kardashian West visits CA State Capitol in January to lobby for prison reform and takes a selfie with CLBC Assemblymember Kevin McCarty (D-Sacramento). Cannon was joined at the meeting by the Rev. Shane Harris, president and founder of the People’s Alliance for Justice, who has been close to the Clark family throughout their ordeal. Harris reaffirmed his support for Assembly Bill 392, which, if passed, would require police to only use deadly force to prevent injury or protect life. Harris said that it was important the community offer both emotional and financial support to Clark’s children. “We need to ensure they have a stable support system,” he said. Sen. Steven Bradford (D-Gardena) was also present at the press conference. He commended Cannon for his actions and urged other celebrities to get involved in politics. Bradford, who has been a fierce critic of police shootings, also pointed out that Clark was not a threat since he was running away from police when they gunned him down. The lawmaker later spoke about the racial disparities in cases involving police shootings. He questioned why in so many cases around the country police seem to readily shoot Black and Brown people but restrain to apprehend White people without resorting to lethal force. Recently, it seems Sacramento is pulling celebrities to rally for causes they care about. Like Cannon, earlier this month, reality TV star and celebrated Hollywood fashionista Kim Kardashian came to town to rally support for Assembly Constitutional Amendment 6, the Free Vote Act. The legislation would restore voting rights to parolees. California is joining several other states that are moving to restore voting rights to ex-convicts. In 2018, Florida also voted to restore voting rights to former felons. 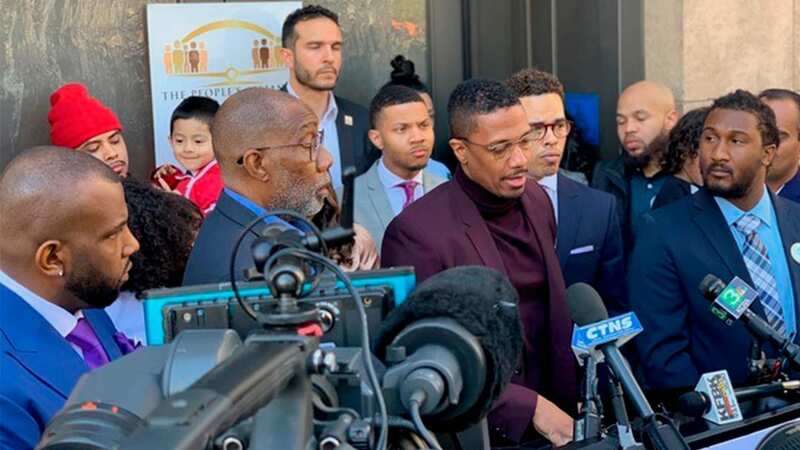 Header Photo: Nick Cannon standing with The People’s Alliance For Justice Founder Rev. Shane Harris and supporters for AB 329, a bill aimed to reduce police use of force.